If you’re anything like me, then you LOVE seeing before and afters on r/skincareaddiction! A lot of those transformations are stunning, and it’s always nice seeing how much happier people look after they’ve beaten the beast (acne). I’ve been frequenting that subreddit for years, and recently got thinking — do any of these hall of famers have something in common? Do they hold some kind of secret magic sauce for clear skin? So I took it upon myself to find out! I filtering through r/skincareaddiction’s top 50 before and afters photos as chosen by the community and examined their routines. For reference, here are all the individual cases studies I used. They are listed in descending order by the number of upvotes. [B&A] 5 months of Accutane! [B&A] About a year of difference. It’s amazing what a new dermatologist and routine can do. [B&A] After two months of non-stop skin care addiction. [Before&After] Oil-cleansing with hemp oil literally changed my life. Thanks so much, /r/SkincareAddiction! Here’s an album of progress photos from when I started vs. now. How Accutane changed my life. Before and After pics. [B&A] One year of skincare and I finally feel confident with my bare face! [B&A] On Thanksgiving I was let go from my (very stressful) job. Today I am stress-free, confident, and fully blown away by how much my skin has improved in just 2 weeks. Yay! [B&A] 1.5 years ago I made a post about being suicidal because of my skin. Today I’m grateful and happy with the way that I look. [B&A] One year after accutane! After six months, I’m officially finished with my second course of Accutane. [before&after] sunblock and vitamin C serum for about two months now. Before and after accutane. It doesn’t hurt to put my face on a pillow anymore! [Personal] Finally went foundation-free after sticking to a routine for the past 6 month. [B&A] I’ve been a lurker here for three years. The top were taken when I started (late 2014) the bottom were taken today. [B&A] After almost a year of spamming this subreddit with questions, and getting tons of help from you guys, this is what has happened since one of my first posts here! Thank you so much!! [Selfie] 3 months on my current routine. I’ve never felt so confident and beautiful in my skin. [B&A] Absorbica (isotretinoin) was the best decision of my life! From 10 years of hiding behind thick make up and miserable in my own skin to being comfortable barefaced and happy to look in a mirror. Routine in comments! [B&A] Result of 2 years of work after a decade of acne. [B&A] Cystic, painful bumpy skin is gone – you did it SCA! [Before&After] My Progress Pictures ~ Tretinoin, I give you two thumbs up! After 3 months of Accutane, I’ve finally from that (left) to this (left). Anything can change, guys. Just stick to it! Before and after pic just only 4 weeks of progress into getting my Rosacea under control!!!! Feels amazing to not have to hide my face!!! Can finally go out with minimal makeup! A HUGE thanks to you lovely people! Never did a proper before/after my accutane. Here’s me at 19 and 23 years old! [B&A] Five weeks on isotretinoin – I’m so happy! [B&A] It’s not much, but for the first time I don’t absolutely hate my reflection! 2 months progress! See comments for routines and more! [Acne] I am basking in my PIH today because for the first time in 4 years…I DON’T HAVE A SINGLE ACTIVE PIMPLE! [B&A] One year progress of NOT washing my face! [B&A] One year… i never expect such a great result. Accutane before and after pictures. Couldn’t have asked for better results. Ask me anything! Unsurprisingly, most of these people cleared their skin using a simple 3 step cleanse, treat, and moisturize routine like the one I outlined in my how to clear acne guide. Because there were A LOT of differences in terms of what products people used, I will simply list them in their respective categories, and throw my thoughts in as we go. How 50 Skincare Addicts Destroyed Their Acne. The number next to the items listed below denote how many different people used it. For example, if you see “Accutane = 10” that means 10 people used accutane. Got it? Sweet. Fun fact #1: Accutane is most powerful acne medication to date. It’s success rate is well over 90%! Spironolactone is used as hormone therapy for women who can’t get their acne under control using a skincare routine (i.e. it treats hormonal acne). NOTE: I have excluded the skincare routines of the people who cleared their skin using accutane or sprionolactone from the analysis below, because most of them accredited the oral prescriptions not skincare products for eliminating their acne. Oil cleansing is a great way to remove waterproof makeup or sunscreen, and reduce the dryness that comes from using a regular cleanser. It isn’t entirely necessary to eliminate acne, but many people find it helps, which is why 14 of these case studies incorporated it. Note: the two people who used jojoba and coconut oil mixed it with tea tree oil for additional antibacterial and antifungal properties. If you’re going to use the oil cleansing method try mineral oil first! This is something I’ve recommend plenty of times on this blog because mineral oil is an inert substance with no fatty acids, meaning it won’t cause any immunologic response from the skin. English = it won’t clog pores, or feed the microbes that cause acne because it is a synthetic or “dead” oil. I know many people, including myself, tried oil cleansing with organic oils when venturing into OCM for the first time, only to be met with a massive breakout. Sigh…. 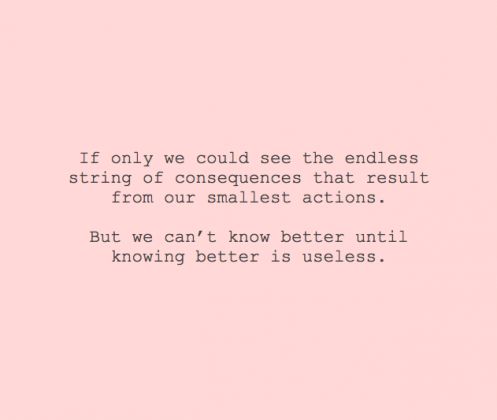 if only we knew what we know now. Fun fact #2: mineral oil is the most used cleansing oil on skincare addiction across every skin category including sensitive, balanced, dry, acne-prone, dehydrated, rosacea-prone, oily, and mature. Fun fact #3: it’s 100% approved for malassezia-sensitive skin (seborrheic dermatitis, eczema, pityrosporum folliculitis etc.)! This the most important step of a skincare routine targeted towards acne. The idea is to use an active ingredient that treats breakouts. Most of the people in this top 50 list used a single active ingredient; several others used a combination of therapeutic agents. We will go over those in the next section. Paula’s Choice 8% AHA Gel = 2 (this is my favorite AHA). Full review here. And lastly, 3 people attributed clearing their skin to using NO ACTIVE ingredients at all! They focused on babying their skin instead, and thought the harsh acne treatments only made things worse. All the following people used a combination of active ingredients. AHA + BHA = 1 (used Paula’s Choice Skin Perfecting 2% BHA and Paula’s Choice Resist Weekly10% AHA). Interestingly enough, the person who did this ended up dropping all the actives from his routine several months later and made even more improvement! The dudes skin is literally perfect now. He just moisturizes twice daily with a hyaluronic acid / urea cream (kinda like the one I make! :D), and that’s it! No cleansing, toning, treating — nada! Just moisturizer twice a day. HOW AWESOME IS THAT ROUTINE?? 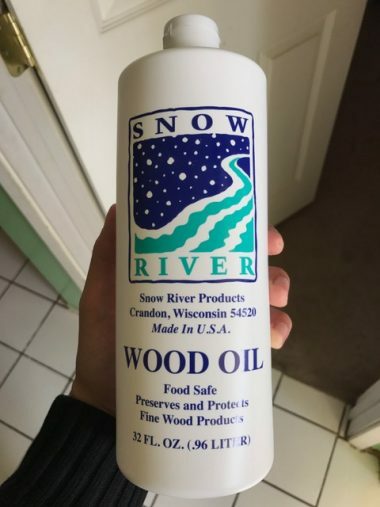 This is the product he uses. No surprise here, the most popular combination therapy was BP and BHA. This makes sense too considering benzoyl peroxide and salicylic acid is more effective than benzoyl peroxide alone, or in combination with antibiotics. Most of these people didn’t disclose what BP they were using. I recommend the Acne.org 2.5% Benzoyl Peroxide. It’s the most efficacious and cost effective one out there. 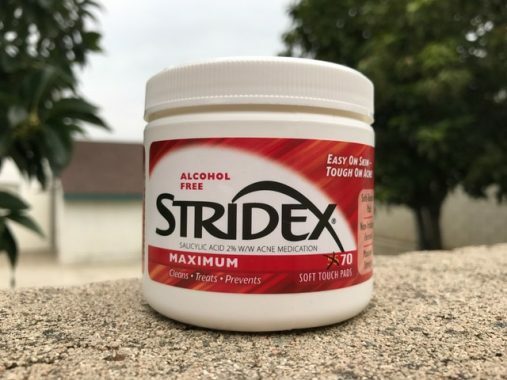 For BHA, you can’t go wrong with the good ole’ Stridex. Benton Snail Bee Essence = 1 (combined it with Melano CC). This essence is a holy grail of mine. Full review here. Not a lot in this section, which again… doesn’t surprise me. Serums and toners aren’t necessary for clearing acne. They’re mainly used to give skin that extra oomph. As you can see this section is one giant huge cluster f*ck! I’ve said elsewhere on this blog that moisturizers are the most subjective part of any skincare routine. I stand by this. 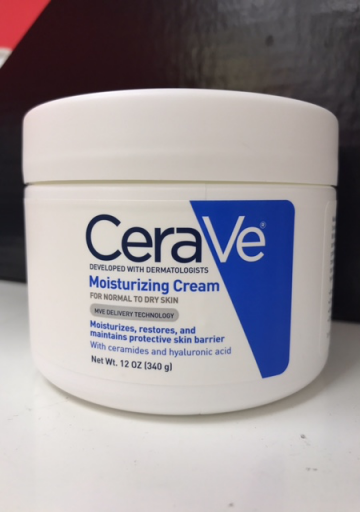 I’m not surprised that CeraVe Cream was the most popular moisturizer. I have written an extensive review about why it’s so well tolerated across many different skin types, which can be found here. In short, it’s unique in that it doesn’t include esters, fatty acids, and oils. This makes it suitable for malassezia-sensitive skin. And isn’t it interesting that the only other two moisturizers on this list that had any sort of multiple people using it were also approved for malassezia (i.e. 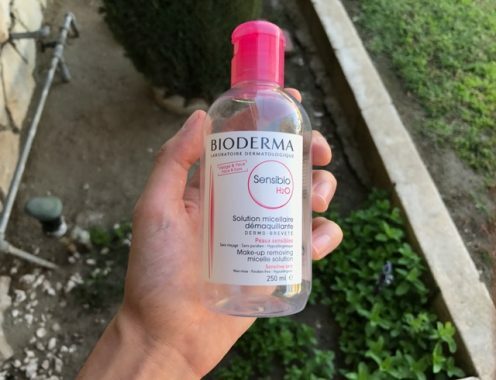 sebamed gel, clinique dramatically different)? 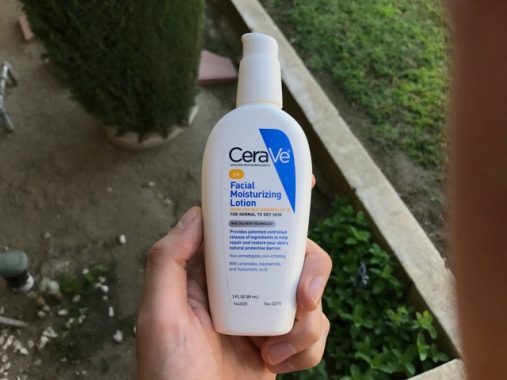 I’m noticing a pattern guys and gals…..
ONCE AGAIN, the most popular product (CeraVe AM) just so happens to be okay for malassezia-sensitive skin. What a freaking coincidence! If you have no idea why this little genus of fungi (malassezia) is important, or are an adult with acne, or seemingly breaks out from EVERYTHING — read this guide. It’s guaranteed to make you go “AH-HA!” and will help clear your skin. Using occlusives at the end of your skincare routine is a great way to seal everything in and prevent transepidermal water loss (TEWL). I highly recommend doing this if you suffer from dry or dehydrated skin! Not a lot of people do these and I agree. Clay masks can be overly drying if used too much. I wouldn’t recommend them as the sole source of treatment for acne. They’re more like an occasional pick up, or something to do before a big event if you wanna tackle blackheads. Related reading: the most effective way to use clay masks to treat blackheads. Random other stuff I observed. For most people, I recommend rinsing with water in the morning. Using a cleanser twice daily can be pretty harsh, and it’s important we avoid drying out our skin wherever possible. Note: there were 3 people who stopped cleansing altogether (morning and night) and attributed simply using water to clearing their skin! It’s a good reminder that cleansers may not be entirely necessary if you’re not wearing sunscreen or heavy makeup. And lastly, one person cleared their severe acne by sobering up from drug addiction and applying a topical antibiotic. You heard it here first kids: DON’T DO DRUGS. If you’re going to use this as a reference point to try and clear your skin, I recommend keeping it simple at first. Pick a cleanser, treatment step, and moisturizer. Stick with that for AT LEAST 6 weeks (preferably longer). Once your skin is clear, you may begin experimenting with serums, toners, or multiple active steps. Hope you have found this useful or interesting! This is beyond Ammmmm-azing ! FC i bow down to you . Thats all. I can barely read through reddit what with all the links and permalinks and dots and arrows and people who don’t really know how to write. You’re a hero for getting through all that and cataloging their results. Happy to see some of my favorites making the list as well. Cerave foreva. I’ve been totally loving this blog. I discovered it a few weeks ago and can’t stop reading. 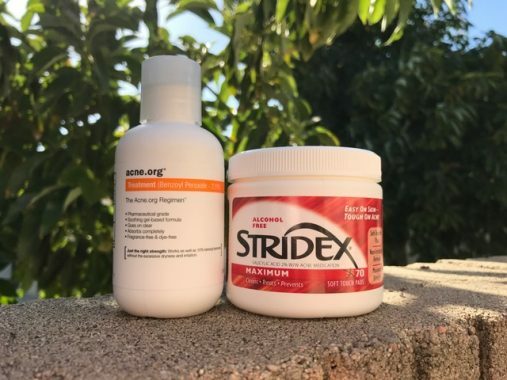 I was having some issues with cystic acne and alongside a RX for spiro from my derm recently, I’ve been implementing a TON of your product recs. Particularly Cerave. Also LOVING Pixi Glow Tonic. My skin is DRAMATICALLY improving. I’ve also starting using an AHA/BHA and retinol. All of last year it felt like NOTHING was working (I became a VIB Rouge at Sephora in the process of trying to find SOMETHING to help haha). So I’m super excited to see results. I’ve also eliminated dairy from my diet and have noticed a tremendous difference. I’ve also started cleansing my face with the Cerave wipes after working out and I think thats really helping. Anyone going to the gym: make sure you wash that sweat off ASAP! Your blog is hands down the BEST, most informative acne/skincare blog I have ever read. And I’m a 35 year old woman who has been struggling with acne since I was a teenager. I love that your posts are scientifically based (no woo-woo trends) and incredibly USEFUL with practical recommendations that have proven results. Thanks!!! I am very happy to read success stories of people who have had skin troubles. Interesting to see FC’s work to get to common denominators and things that work. Anytime you need statistical graphs or conttol charts, hunt me down, sir! Long story short, I had to cut my (half year) beard off due to a massive folliculitis type break out beneath it, I think due to overwashing with a bar of soap, harsh exfoliation, and over oiling to make up for the dryness. Used Epiduo and Clindoxyl for a long time prior to the beard, which did clear my younger acne, not sure if it left a empty battle field when i stopped too. Finally clearing up, all thanks to you’re work here. Thanks for sharing dude, you are honestly a hero. Hi F.C.! I have a quick question for you. Aren’t essential fatty acids a necessary part of good barrier function and part of our skin? I’ve been following your blog and Wholly implemented this philosophy of skincare which has resulted in the best skin I’ve had since early youth! Consistently good too… so it kind of confuses me since I’m not using any products or ingredists with essential fatty acids… do you have any information on this? Thanks! I was just wondering what your thoughts on the Heimish All clean balm as well as the Missha deep cleansing balm in regards to fungal acne. I recently went HAM and bought a whole bunch of Korean skincare products and soon realised that the Cosrx cleanser is breaking me out. I am not sure if it is the ferments or the butylene glycol. So I was wondering if plant extracts could possibly contribute to worsening fungal acne. I assume I have fungal acne because I am getting clusters all over my forehead and the side of my cheeks. They are all red mixed with lots of whiteheads. At first i assumed it was butylene glycol but now I am not sure anymore. Can butylene glycol also contribute to the worsening of fungal acne? 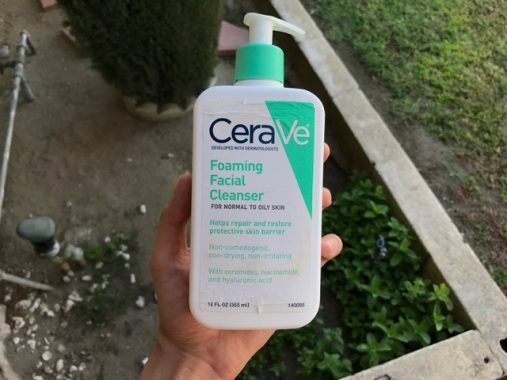 I developed rashes on my nose and under my eyes when i tried using Cerave foaming cleanser, Sebamed Cleansing foam, Vanicream and Cos Rx Low ph cleanser (anyone knows what these 4 have in common?) :(:(:(. Am I the queen of sensitive skin or what 🙁 I was hoping “vanicream of cosrx low ph” would be my facial BAE but i was wrong. Right now i’m stuck with using neutrogena pink grapefruit scrub which i know does not have the best ingredients or ph level. What else can i try?? Hi f.c! i’m not sure if you remember me but I emailed you months ago by thanking you for starting your blog and all your informative posts. I told you that I was taking accutane to treat acne and i’m now done with my course two days ago! I’m so happy with the results. I don’t want to make a post in r/sca or r/ab because i’m too shy to show my face to everybody in reddit. If you want to see my before and after pictures let me know. I’ll email them to you. I swear I look and feel very different now. I’m finally confident to look people in the eye and smile. I can now wear makeup and feel good with or without makeup too! Accutante is my savior and the best thing that ever happened to me. Hi! I love your blog. Thank you so much for what you do. This post is amazing! I had one question for you…I noticed that retinol was only mentioned once in all of the routines (under ‘combined therapy’), so almost none of these people used it If I understand correctly. Is that because it is not necessary to clear up acne, or for some other reason? f.c you are amazing! ???? Can you check this bar soap if it’s Malasezia-food grade free? Thanks so much! I’ve been all over this site for hours now, and have a plan of attack. It’s possible I have malassezia-sensitive skin. (Who knows maybe I really just clog easily) I have had tiny bumps all over for forever. They haven’t budged one inch. Before I read the article, I had read ordered some azelaic acid from The Ordinary. I want to see how my skin responds to it before I get crazy. I also have recently purchased a lot of the products you mentioned on your site prior to coming here. (COSRX BHA, AHA/BHA Toner, Snail Mucin, Hada Labo Toner) I haven’t used any long enough of consistently enough yet but see an immediate difference when applying them! I have a feeling I’m well on my way. The cleanser I am using La Roche Posay Toleraine Purifying Foaming Cleanser seems to be doing well. Anyway thanks for being so dedicated! I wanted to add to your comment about acne clear up guide and say that from experience, once you’ve battled and won against Acne it’s best to ween off of Benzoyl P. & Salicylic Acid. and just simply cleanse and moisturize. I’ve seen my skin improve massively once i stopped using B.P. because i noticed it changed my skins undertone to a more reddish/inflamed rather than my natural skin. What others need to keep in mind is that those treatments are essentially over the shelf medication and used only as needed but not for life. Source: I’m a Licensed Esthetician & love skincare and i am like you where i want to give people hope and real knowledge. You make your own urea cream??? How?? ?